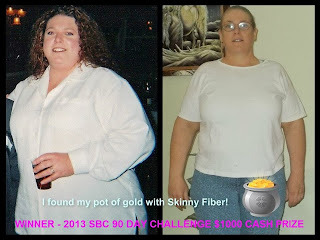 I want to extend a huge CONGRATULATIONS to the 3 winners of the Skinny Fiber Weight Loss Challenge ... These 3 people were the "biggest losers" for 2013 and won $1000 for their accomplishments during their personal 90 day challenges. They did an AWESOME job for sure! #1 Alana Selena lost 56 lbs in 90 days! 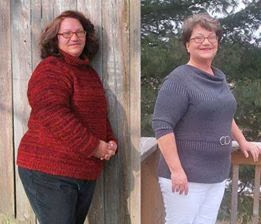 #2 Annette Lucas lost 53 lbs in 90 days! #3 Chandra Butcher lost 51 lbs in 90 days! Here are the pictures for two of them. I am waiting for the 3rd one. Join the Skinny Fiber Weight Loss Challenge! Are you impressed by the progress of these 3 winners? Guess what? You can join the challenge and do this, too!